SAF OPAL Starters is the leading North American Reduced Voltage Soft Starter line. 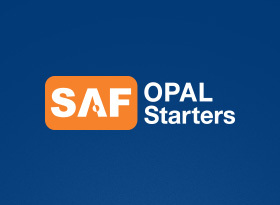 SAF OPAL Starters is a leading North American Reduced Voltage Starter line. Designed and manufactured by SAF Drives and distributed by KJ Controls, the SAF OPAL Starters line is an established market leader in dependability, ruggedness and quality. On OPAL Pro and OPAL Starters: Effective Jan 2014, SAF Drives’ standard warranty on Opal Pro MS6 and OPAL SS6 Starters is extended to an industry-leading 5-Years.